Turn off the extended rain forecast, and enjoy fun indoor activities around town this week! Here are some suggestions. 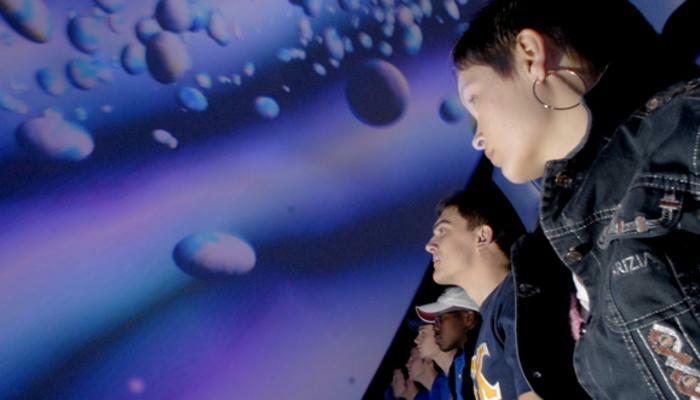 Remember your first planetarium experience thirty-something years ago? Well, that was lame so forget that. This is the more like Tony Stark meets IMAX! Events and shows include Black Holes, Dynamic Earth and Pink Floyd: The Wall. Are you climbing the walls? Good, cause this indoor climbing gym boasts 14,000 square feet of climbing surface and more than 2,500 square feet of dedicated bouldering. Whether you are a kid or a kid at heart, this place pack a powerful punch to your cabin fever. Great food and fun are served up by the friendliest people in town! And check out their new sports bar.